Designed to withstand multiple impacts, Cycle Lane Hazard Markers are ideal for providing delineation where space is at a premium. 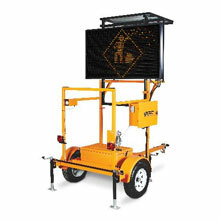 Their narrow width (155mm) coupled with the use the 3M Diamond Grade DG3 fluorescent reflective sheeting ensure maximum visibility to motorists, cyclists and pedestrians. The Hazard Market are fully impact resistant and will survive multiple impacts, ensuring the Hazard Marker continues to function and provide a clear warning to road users. They are available in a variety of designs and formats, in both single sided and double sided configurations. They are idea for delineating Cycle Lanes as their narrow profile coupled with high visibility ensure they provide clear guidance for cyclists while not taking up a lot of space.